Sigler Communications Ranked a Top Firm - Sigler Communications, Inc.
It’s pretty fun to come back to the office after the holidays to receive another gift. We were notified that Sigler Communications has been ranked among the top 19 public relations agencies in Denver. The ranking came from Expertise out of Seattle, WA. The group creates lists of the “best professionals in each US city” to give its readers the confidence they need to make the right hire. Expertise used a three-step process to cull the list. They surveyed the field to find every business that provides public relations services in the Denver area. They then used software to grade each business on 25 variables including reputation, credibility, experience, availability and professionalism. Once the business is ranked, the team manually reviews the highest scoring results to ensure they can stand behind each selection. They vet an agency’s track record in customer service and how successfully the firm has been in building customer confidence. They look at if the firm is a “master of their craft” based on years of practical experience and education. Finally, Expertise evaluates if the agency provides service with honesty, reliability and respect. 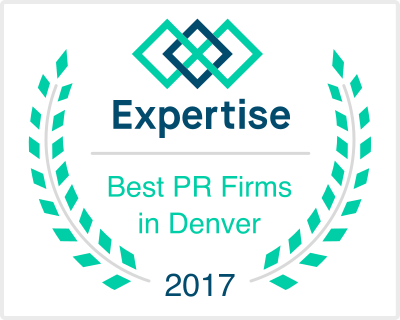 Expertise reviewed 163 Denver agencies, curated 105 for further analysis and selected the top 19, of which our firm was listed. Sigler Communications, which celebrates 21 years in business next month, was noted for our expertise in message development, stakeholder engagement, crisis management, branding, and public relations. Our specialties in water, environmental and natural resource issues, healthcare, and corporate communications were listed! We are so pleased that the work we do for our great clients has been recognized. We consider ourselves a success when our clients are successful. We make it happen!